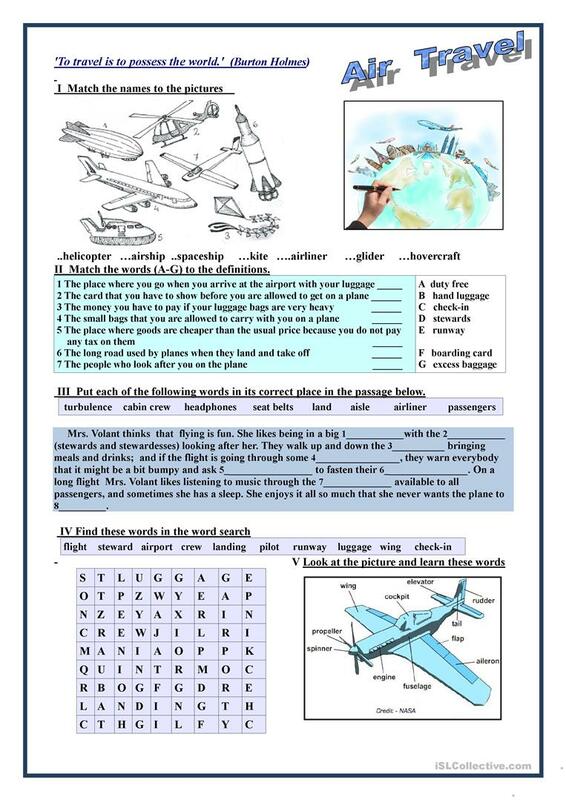 This worksheet was made as an extra activity when teaching or revising the topic 'Travelling' or 'Means of transport'. 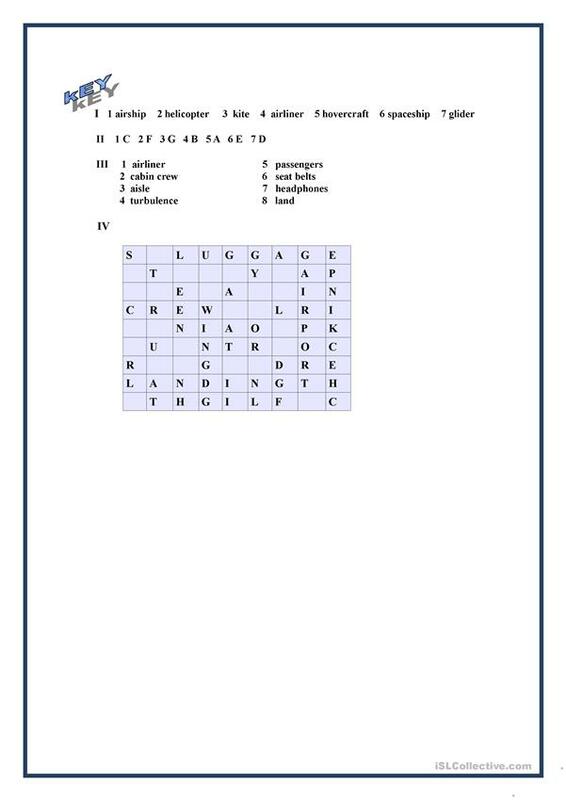 It contains 5 different exercises, key is given on page 2. This downloadable handout is intended for high school students, elementary school students and adults at Elementary (A1), Pre-intermediate (A2), Intermediate (B1) and Upper-intermediate (B2) level. It is excellent for developing your pupils' Spelling, Speaking, Reading and Writing skills. It focuses on the theme of Holidays, Means of transport, Tourism and Travel. It includes the solutions, too.